This is Dandy Do Right. He’s a 27-year-old miniature horse, and he had a rough start to 2016: in January, three dogs jumped the fence on the property where he lives. They attacked him, viciously biting his tail and back legs. He survived the attack and is healing… but it’s been a financial challenge for Dandy’s people. When I first heard about Dandy, I thought: that little guy could use some Reiki. I found the Go Fund Me page dedicated to his vet bills, and contacted Beth York about offering Reiki to her horse–which she was open to. 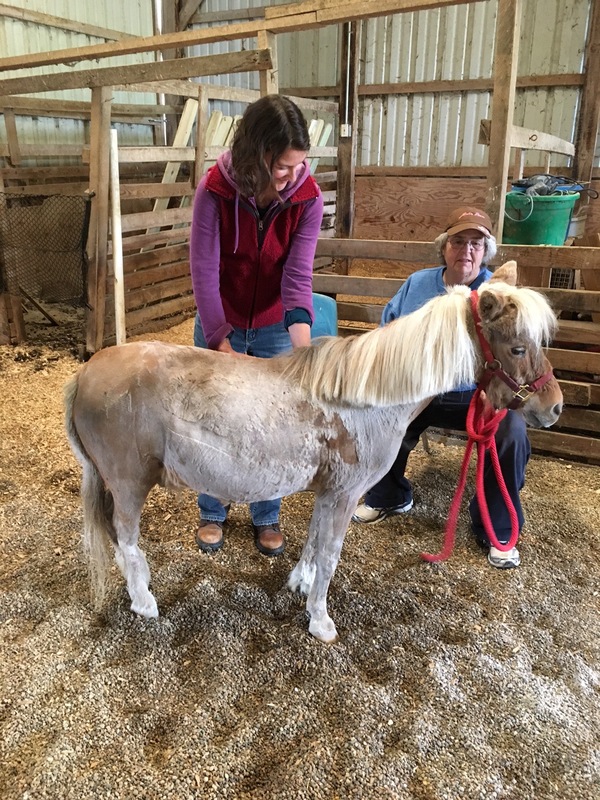 Yesterday I went out to meet Dandy and his family, which includes three other miniature horses (my inner child was about to pass out with joy–seriously). I shared Reiki for about an hour; Dandy seemed to nod off a few times, and when he’d had enough his sassy playfulness suggested that he was in good spirits. You can read more about Dandy here. If you feel called to help out by donating to his vet bill fund, I very much encourage it!